The 1960’s were boom years for the guitar. 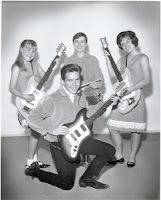 Guitar manufacturers, music stores and even pawn shops all enjoyed a time of plenty all because of “Baby Boomers” who, after seeing British Invasion bands, wanted to become rock stars or at the very least impress the ladies, as well as their friends. 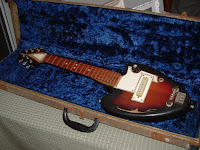 Aside from the large manufacturers such as Fender, Gibson, Gretsch and Rickenbacker, many medium and smaller manufacturers, such as Mosrite, Carvin, Harvey Thomas and Hollman-Woodell of Wisconsin saw there was profit to be made and went into the guitar business in hopes of getting a slice of that financial pie. One such small guitar manufacturer was Pat Murphy who created and manufactured Murph Guitars of San Fernando California starting in 1965. Pat was a Detroit Michigan native and had served as a Naval Air Force mechanic and pilot. He had been stationed in the Philippines during WWII. After leaving the service he started seeking employment with several companies trying to find the best paying jobs to take care of his growing family. Like many others of that era he traveled to California for the prospect of work. By the early 1960’s Pat and his wife had five children and all the kids were quite talented. The kids acted in television shows, commercials, and plays in the Los Angeles area. The eldest sons learned to play guitar. 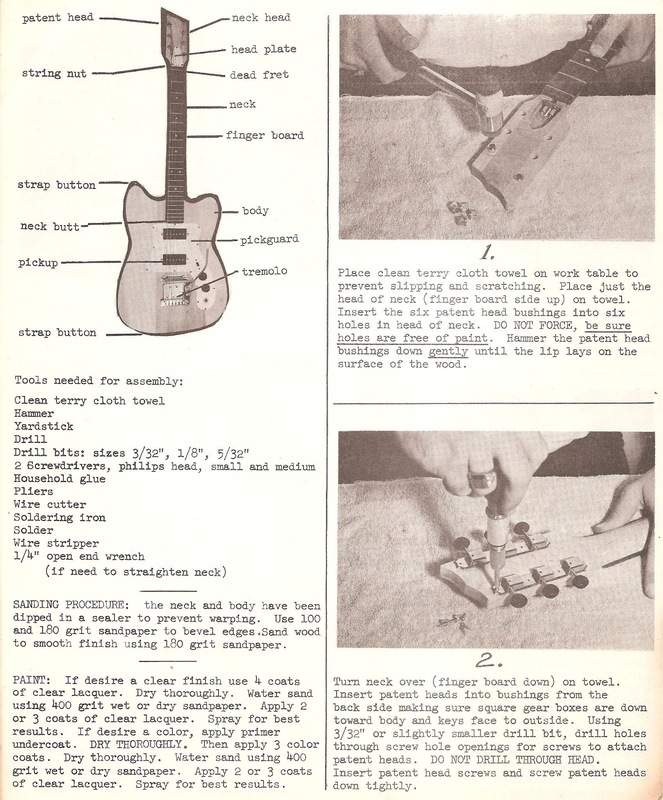 The boys teacher knew of Pat’s skill as a craftsman and suggested that he try his hand at building electric guitars. Around this time his sons had put together a band with their two sisters and a collection of friends. Now this was the era when The Osmonds, The Cowsills and The Jackson Five were very popular. Well known guitar companies were providing instruments for gratis to these acts just so their guitars and amplifiers would get exposure. Pat took up the suggestion of the boy's teacher to begin manufacturing gutiars and in 1965 he leased a 1200 square foot building. He named the company Murphy Music Industries. The leased building was modified to include an office, a woodworking shop, a sanding area and paint booth and an assembly and shipping room. An engineer named Rick Geiger was hired to run the facility. Pat and Rick set off to purchase equipment. Much of the machinery was acquired at auctions, while some of the other necessary machinery, such as a pickup coil winder was purchased outright. All the wood materials for the bodies came from a nearby lumber company, while the more specialized lumber and parts such as bridges, fret boards, tailpieces and vibratos came from a German distributor. The guitar cases were manufactured by the Victoria Luggage Company, which was located nearby in Los Angeles. Unfortunately before production began there was a rift that developed between Pat Murphy and Rick Geiger causing Geiger to resign. Pat Murphy had wanted his guitar brand to be called York Guitars, but another instrument maker was already using that name, so Pat decided to call his guitars Murph guitars. 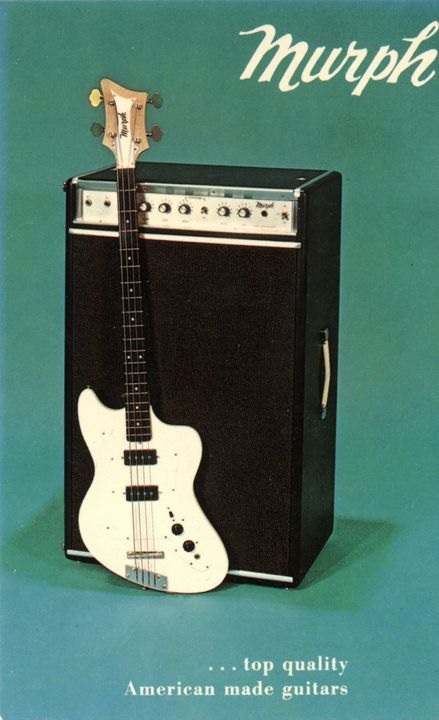 By the end of 1965 the company had begun making not just guitars, but had contracted with another company to build amplifiers under the Murph logo. In the spring of 1966 the company went to the Chicago NAMM convention to seek out distributors and music stores to sell their products. By then Murph guitars had come up with an acoustic guitar, a semi-hollow-body guitar, a heart-shaped guitar and a build-your-own- guitar kit. They even had a portable 6 volt guitar amplifier. An agreement emerged from this show with the Sears Company to have Murph guitars market their instruments under the Silvertone brand name. The first order was small, only 25 guitars, but there were hopes that larger orders would follow. Like many small companies Murphy Musical Instruments biggest problem was its tight budget. Other problems were to follow. Soon after the NAMM convention the company received a legal notice from Fender Guitars alleging possible patent infringement. 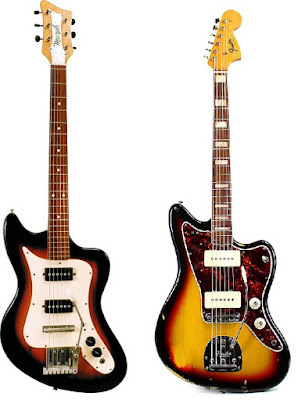 Apparently the guitar giant thought that Murph guitar's Squire model looked too much like the Jazzmaster/Jaguar body. Both guitars had an offset body style and an accentuated upper bout horn. However the Murph guitar featured a slimmer body shape. 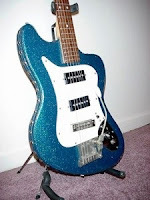 The Murph Squire guitar came with either one or two single coil pickups that looked more like P-90's than the larger Fender's Jazzmaster pickups. And while the Murph instrument did feature a long vibrato arm, the unit was not as nearly elaborately engineered as the one on that came on either the Jaguar or the Jazzmaster. The Murph Squire guitar, like the Fender guitars did come with a bridge cover. Finally, the Murph guitar headstock featured three-on-a-side Kluson tuners. Unfortunately when it comes to lawsuits, the company with the deepest pockets usually wins. Pat Murphy was in no financial shape to contest this notice. Ironically in 1982, long after the demise of Murph Guitars, the Fender Corporation began offering "Squier" guitars as an Asian-built alternative to the much higher priced USA made products. The Murph Squire was an exceptional guitar for its day. It was a much superior instrument to many of the student grade guitars coming from some of the well known manufacturers and a much better guitar than the Asian products that flooded the market in the 1960's. 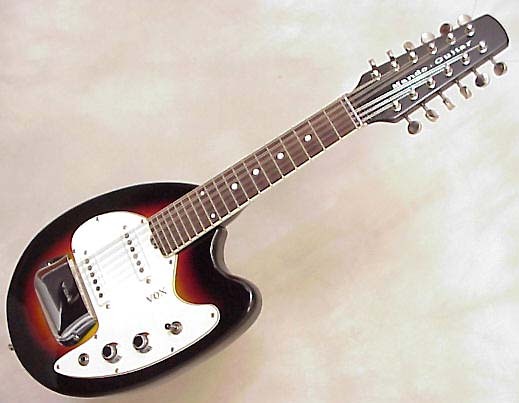 The solid body Murph Squire guitars were available as six or 12 string and bass models. The 12 string Squire came with a Rickenbacker-style tuning key arrangement; that is three-on-a-side Kluson tuners facing outward and three-on-a-side tuners facing downward. The pickups used on this model were excellent. The maple neck is said to be thin and quite playable. 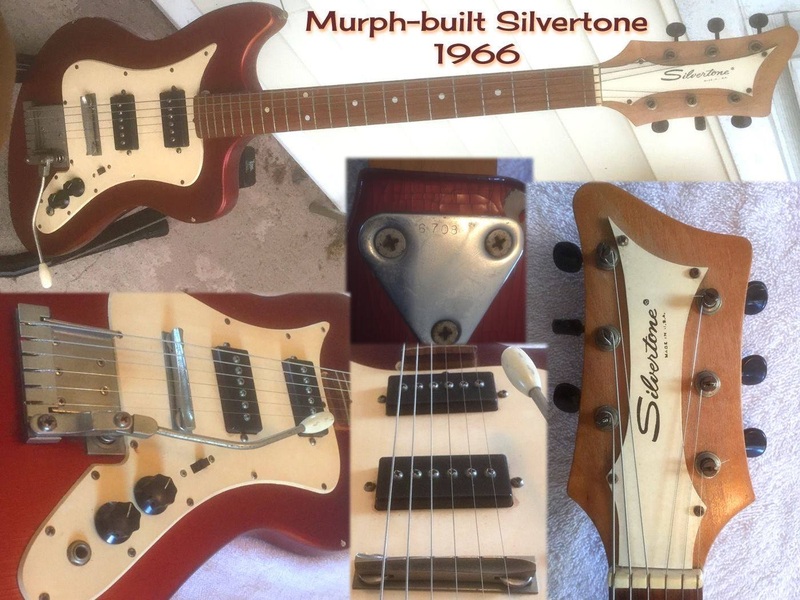 The Murph Squire guitar came with either one or two single coil pickups. The pickup switch was a slider model. It was available as a hard tail model or with a vibrato tailpiece. 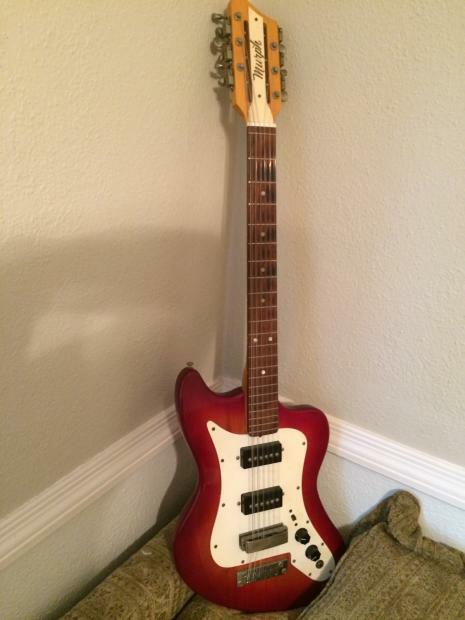 Aside from the standard Squire model, Murph Guitars made some other very unique guitars, which included a semi-solid Squire model that came with two F-holes. This was the Murph Gemini, a double cutaway semi-hollow body guitar, that more or less resembled a Gibson ES-335, however the cutaway horns were shapped slightly different. The Gemini was available as a six string, a 12 string or a bass. The Murph Westerner resembled the Squire and was unique since its body was upholstered in Naugahyde. What happened was when a Murph Squires paint job was found to have flaws or defects, instead of trashing the body, it was covered with a glittery Naugahyde fabric and then dubbed a "Westerner". Pat Murphy grew up during the Depression era when nothing was wasted. The Murph Satellite guitar is said to be created a result of the legal notice from Fender. Pat Murphy's wife is credited with the design of this heart-shaped semi-hollow body guitar. The Satellite was sold as a six or 12 string model as well as a bass guitar. Aside from the extremely unique body shape, the joint between the neck and the headstock features a triangular section on the instruments front and back side that pairs the wood. Due to the unique body shape, this instrument would not fit in the Hamilton guitar stands of the day, so it came with its own unusual stand that notified the world, this was a Murph. This is the rarest Murph guitar and very few were made. Murph guitars also built the Baby Satellite guitar. The Baby Satellite was a 3/4 sized version of the Satellite, and was intended to sell as a toy. However it was a functioning small single pickup guitar. 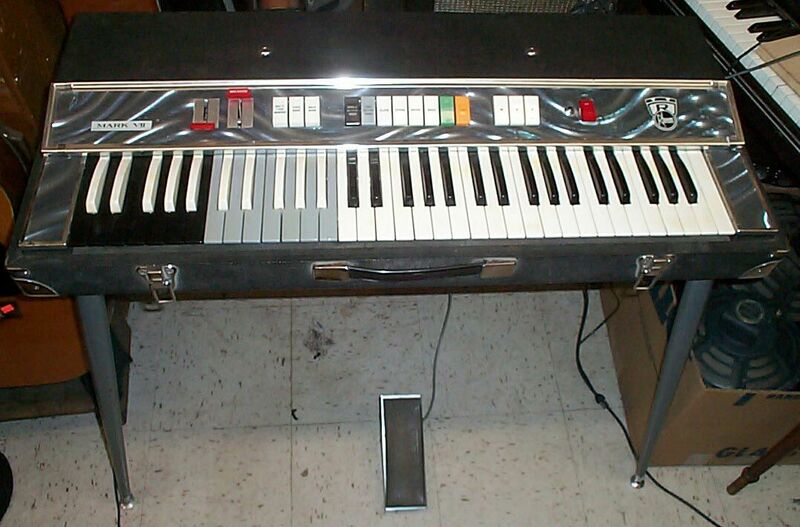 It came with its own case and the plan was to sell it with a battery powered amplifier for $99.00 USD. 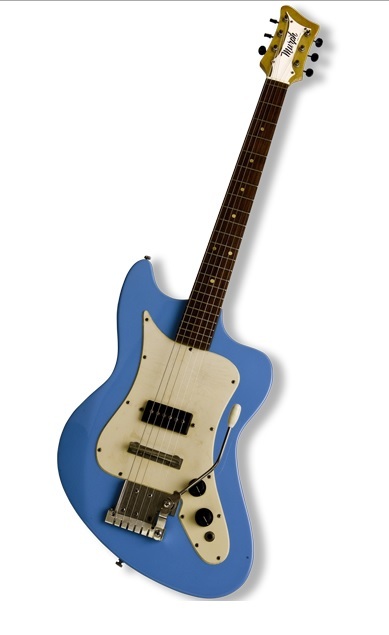 Capitol Records asked Murphy Musical Instruments to build 10,000 of these guitars, however Pat Murphy could not put together enough capital to fulfill this order or even continue to build this guitar. Interestingly that same year Vox introduced a similar instrument called The Vox Mando Guitar that sold for over twice as much. 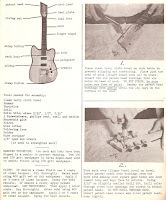 The Tempo I or Tempo II was Murph's do-it-yourself electric guitar kit. This kit included an unfinished body, neck with headstock and parts were supplied with all the necessary instructions. The Tempo I was the one pickup model and the Tempo II, you guessed already, was the twin pickup version. 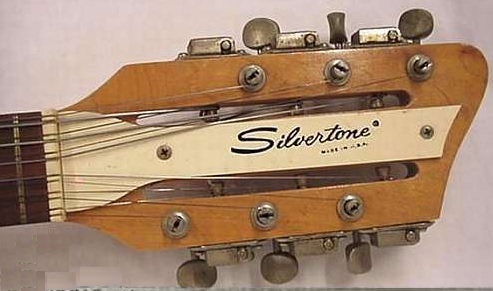 The headstock was not branded so the builder could put their own brand name on it or leave it blank. 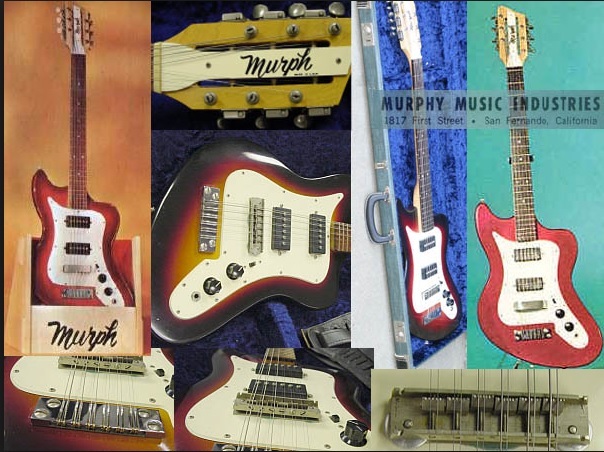 Very few Murph Continental IV guitars were ever made. This was a Les Paul shaped guitar with a single pickup. The guitar included an archtop guitar-type bridge saddle that sat unsecured on the guitars body. The string were attached to a trapeze tailpiece. This guitar was only available in white. In 1965, the Rheem corporation, which primarily is known for heating, air conditioning and water heating products, saw the potential of money to be made in the musical instrument business. The company had inquired of a Japanese firm if they could build tape recorders and record players. When they discovered this to be a viable plan Rheem purchased a company which manufactured record players and audio-visual equipment for use in schools including small public address systems. This company was called Califone. Rheem noted that these public address equipment could potentially useful, if modified to be used as guitar amplifiers. After production of guitar amplifiers began the company struck a deal with the Japanese firm to build combo organs under the Rheem brand name. 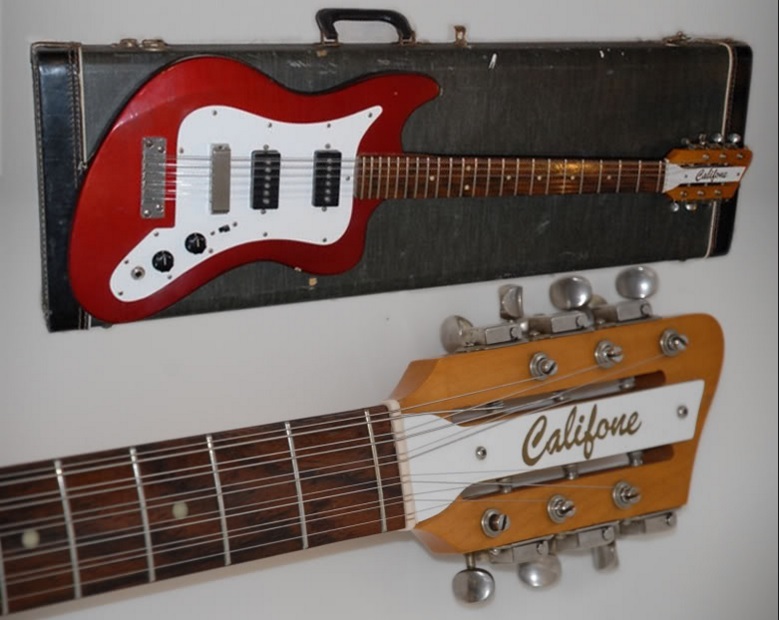 All this is leading up to a deal that Rheem struck with Murphy Musical Instruments to build guitars using the Califone brand name. This line was to include six string, twelve string and bass guitars. 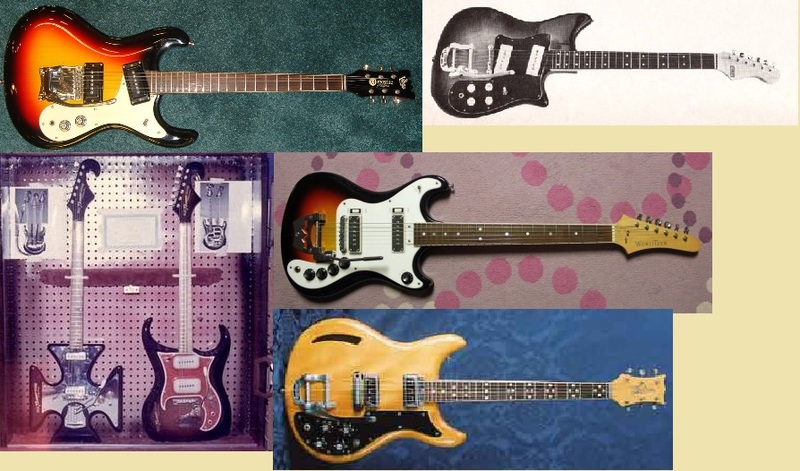 All of them used the Squire body design, but the headstocks were slightly different and the pickups were usually slanted. Unfortunately after about 25 prototypes were made, Rheem/Califone called the deal off. Sears negotiated with Murph to build guitars. However after 25 or so guitars were produced Sears called this deal off. 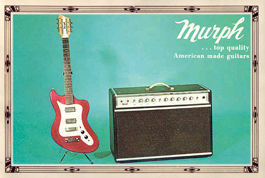 As stated Murph Guitars also produced a line of amplifiers. The amps were all combo units that were manufactured by an electronics company in Phoenix, Arizona. The chasis had the Murph name embossed on it’s front. Murph offered 10 different versions of their amplifiers. The first models were tube amplifiers, but they were shortly updated to solid-state amplifiers. This was in the early days of transistors and unfortunately the company building the amps used inexpensive transistors that were prone to fail. By 1967 the pressures of running a musical instrument business became too much and Murphy filed bankruptcy in the spring of that year. However for two wonderful years he was a building of quality American made guitars. 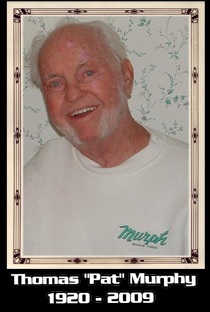 Mr. Pat Murphy passed away in 2009 but left behind a legacy of few great guitars and a lot of wonderful memories. Interesting history. That Silverstone shape crushes the Jag in my opinion. Chunky, funky, better lines! Thanks for stopping by. They look to be awesome guitars. I would love to have a Murph 12 string Squire. 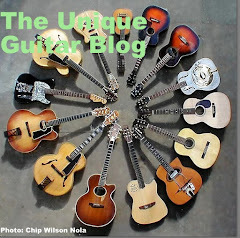 THank you Marc for sharing interesting guitar history. Hi Marc, I love that you have carried on with sharing Murph guitars. 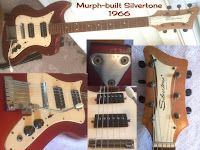 I Bought a Murph Silvertone 12 string a few months ago and I am in need of some specs for the guitar. also Do you know what size the truss rod wrench is? The neck needs a little tweeking before I can set it up. I appreciate any info you might have on the guitar.